Car shopping in the Jackson area? 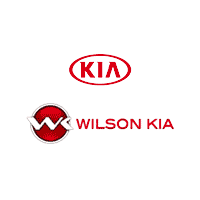 Look no further than the new vehicle inventory at Wilson Kia. We have a wide variety of models in stock, from the popular Kia Sorento to the fan favorite Optima. Our sales team is standing by to get you behind the wheel of the model that best suits your budget and driving needs, and we always have rotating vehicle specials to make the car-buying process that much less stressful. When you’re ready to take your Brandon commute to the next level, stop by Wilson Kia to pursue the Kia models for sale in Flowood, MS! Contact us today. New vehicle pricing includes all offers and incentives. Tax, Title and Tags not included in vehicle prices shown and must be paid by the purchaser. While great effort is made to ensure the accuracy of the information on this site, errors do occur so please verify information with a customer service rep. This is easily done by calling us at 601-914-4204 or by visiting us at the dealership.